The Internet of Things (IoT) is all about connecting everyday devices to the Internet. These devices can provide wonderful features that make your life simpler, help save money and even increase the physical security ofyour home. However, like mobile devices, IoT devices also come with their own individual security issues. 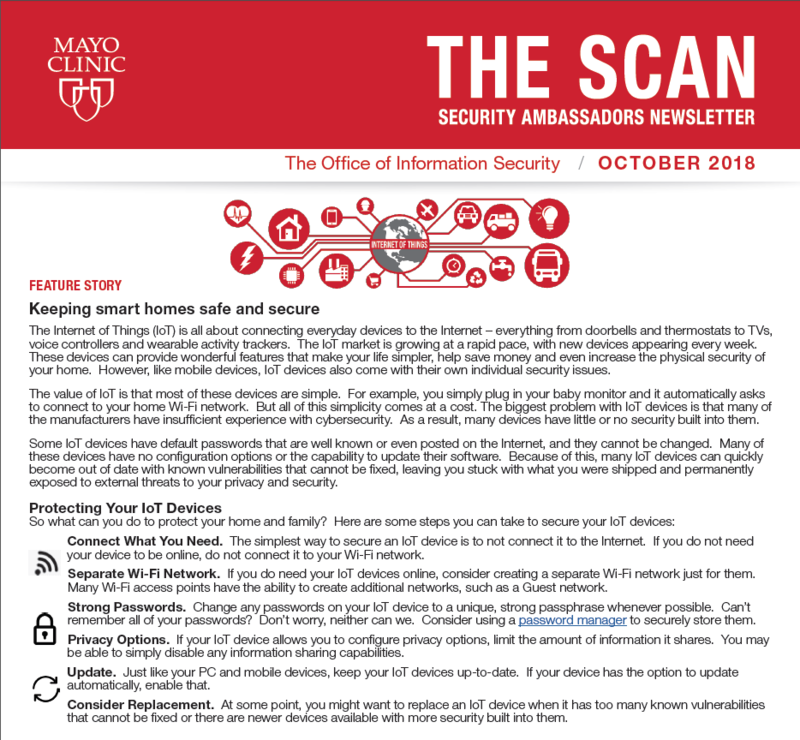 To learn more about steps you can take to secure your IoT devices, click HERE.